The third edition of Figures recently launched run of limited edition hybrid discs sees the label head helping a 90ies classic to new glory. 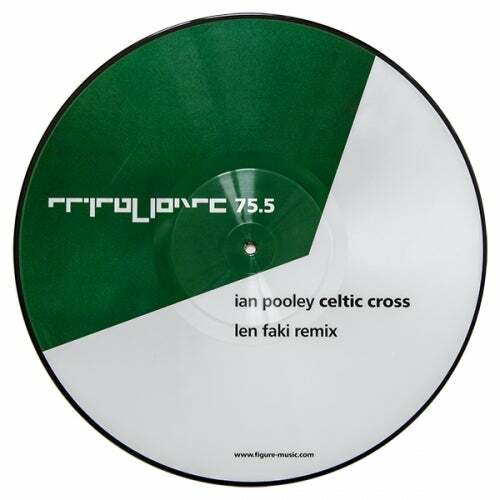 When originally released in 1995, Ian Pooleys Celtic Cross destroyed clubs everywhere with its iconic vocal sample and hypnotic bass bleeps.Len Fakis remix treatment is a sublte one, which manages to leave most of the originals Elements in tact while still expanding upon its fiercely banging character. The now sub-laden kicks stomp even heavier, the old-school drums rattle even crunchier and lashes of Fakis unrivaled hats whip the frenzied track through its now much slicker progression.Bringing the unashamed rave vibes from two decades ago up to modern production standards, this remix will have both the new generation of techno lovers as well as the veteran heads unite in joy on the dancefloor.